Where Is Mold Most Likely To Grow in a Building? Mold tends to grow in areas with high humidity levels where organic material is present. Mold tends to grow in areas with high humidity levels where organic material is present. Here are six common places to find mold growth at a building in Belton, TX. Sinks and toilets increase moisture levels. Property owners and managers should install and operate ventilation rated for the size of each bathroom and keep facilities clean to prevent mold. Porous flooring materials capture and hold dirt. If carpeting becomes wet, cellulose or debris may support mold. An owner or manager should schedule regular cleaning and control high humidity levels to reduce the likelihood that fungus will form. Damage mitigation experts recommend tearing out and replacing carpet that remains saturated for longer than 48 hours or is exposed to contaminated water. Mold may flourish behind walls after a plumbing leak or roof damage. Condensation can also accumulate if a building envelope is not sealed. Porous materials such as drywall, insulation or masonry can absorb moisture and support mold growth. Porous ceiling tiles absorb moisture and dirt. Look for signs of discoloration after plumbing or roof leaks. Tiles with water damage may need to be replaced. Dirt and moisture combine in condensate or drain pans, ducts and terminal units. An HVAC system should be regularly inspected and cleaned. Mold in ductwork can spread spores throughout a structure. A water heater is another appliance prone to condensation and leaks. Building owners or managers should have heaters inspected and flushed. A building owner or manager can check these areas or arrange for professional inspections. 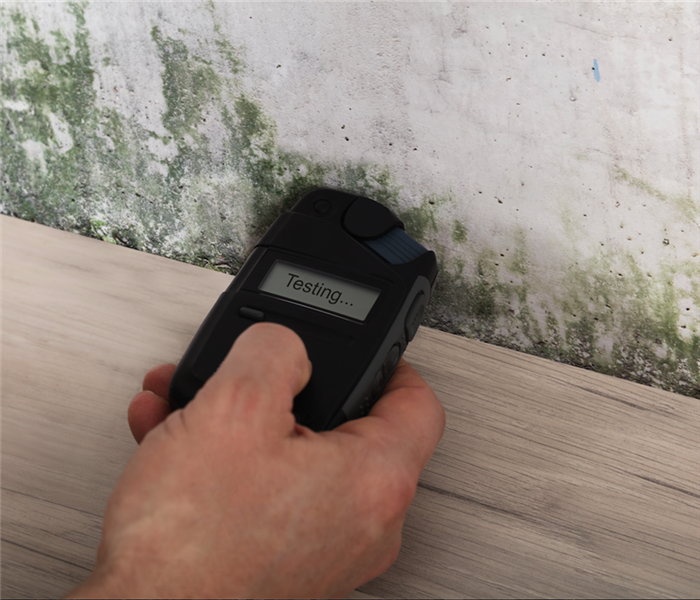 If an owner or manager suspects that mold growth is occurring at a property in Belton, TX he or she should arrange for an indoor environmental professional or hygienist to perform testing and hire a commercial remediation service if indications of mold are found. Storms Damage can be devastating for your home or business in Temple, TX. Storms or natural disasters can cause severe Water Damage. What causes floods in homes? When you think about what can cause a flooded home, odds are that you think of natural disasters, such as hurricanes or floods. You might also think about major defects, such as a foundation problem that can cause a basement to flood. 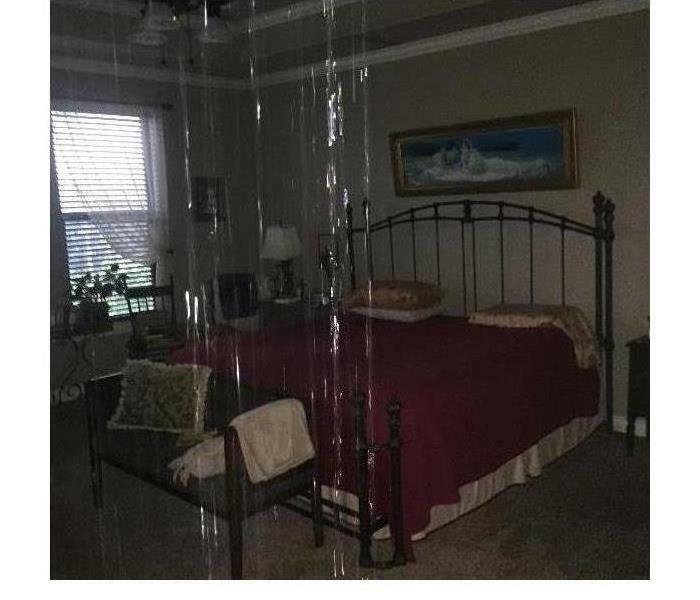 If that’s the case, you feel confident that water damage isn’t something you’re likely to encounter. One thing that can happen to any home in Belton, Texas however, is a broken supply line. A supply line is simply how clean water gets to different parts of your home. The most apparent example is a toilet supply line, typically coming out of the wall and running into the tank to keep fresh water available with every flush. Imagine what would happen if that line broke when no one was home for hours, perhaps even days. The water would run continuously, causing significant water damage and a flooded home. The good news is that there are experts in water restoration who can help if that occurs. The better news is that there are steps you can take to reduce the risk of a broken supply line. If you have any questions, please give us a call at (254) 771-3055. SERVPRO of Temple & Belton has the best team and equipment in Temple, TX to properly handle any size water damage you might experience in your home or business. What Is Pretesting and How Can It Help Keep Insurance Costs Down? SERVPRO associates are trained to perform damage assessment. Pretesting refers to the process of assessing a property after disaster has occurred to determine the extent of damage and whether or not restoration is possible. This process is a necessary component of any insurance claim, as it can help keep insurance costs down, which benefits both the insurance company and the insured. SERVPRO associates are trained to perform damage assessment as a courtesy to both the building owners and insurance agents for which they work. 24/7 emergency response personnel are available to provide pretesting in most emergency situations. Once on site, specialists will perform a thorough assessment of the fire, mold or water damage. After a technician has performed an assessment, he or she will take his or her notes and type up an itemized inventory list of losses, which he or she will then send to the insurance agent. If building owners or insurance providers need additional help, they can always call on their local SERVPRO franchise for immediate assistance. As a "Preferred Vendor" for most insurance agencies, SERVPRO goes above and beyond to ensure that its technicians are worthy of the title. This means ensuring that specialists never cut corners and always strive to do right by both building owners and insurance companies. Dealing with an insurance claim is neither easy nor fun for the building owner or an insurance agent. Though even SERVPRO cannot make the process fun, it can make it less complicated—and less costly. One of many ways in which it does that is by pretesting. Learn more about the #1 Restoration Team's process today. Be sure to have any leaks fixed as quickly as possible to avoid creating any larger problems. 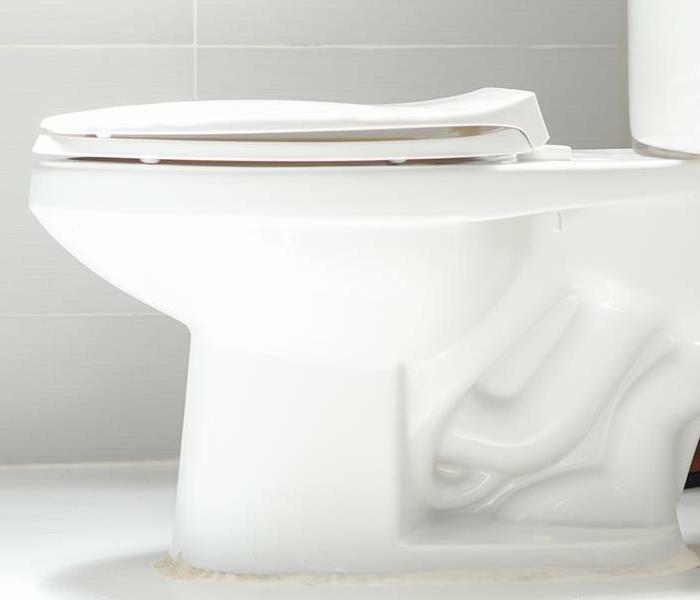 If a toilet in your Temple, TX home is leaking, it can cause quite a bit of annoyance and frustration, especially if you don’t know the cause. If the problem continues, it can not only create a mess in the bathroom, but it can also create lasting water damage. Here are some things that can cause a leaking toilet. If the bathroom leak is causing water to gather around the base of the toilet, then a broken seal might be the culprit. Over time, the parts that keep your toilet connected to the floor can wear out and loosen causing the water to leak through the bottom. The connection between the tank and the bowl is just as important as the connection between the base and the floor. If water from a leaking toilet is coming from the tank, you may need to tighten the pieces that connect it to the rest of the toilet. The flapper, which blocks tank water from flowing into the bowl, can become worn out as well. If your toilet is new but is still causing a bathroom leak, then it might have been installed incorrectly. If the parts of your toilet are not properly aligned, then the water will not be able to move through the system as it should. Water can build up in or leak through certain areas. In some cases, the leak may not be caused by the toilet itself but by the pipes connected to it. Over time, these pipes can rust and crack. If you find a leak near the toilet but can’t find anything wrong with the unit itself, be sure to check the connecting pipes. If you have plumbing problems such as a leaking toilet that might cause damage to your home, calling in a water damage repair service can save you some trouble. Be sure to have any leaks fixed as quickly as possible to avoid creating any larger problems. What Does Mold Insurance Cover? Homeowners insurance is an essential part of owning a house in Holland, TX. Homeowners insurance is an essential part of owning a house in Holland, TX. At some point, you may incur expenses related to mold damage. Your carrier may cover the costs under certain conditions. Not sure if your policy includes this hazardous fungus growth? Continue reading to learn more. These are classified as "sudden and accidental" hazards that can lead to mold growth. Since these events aren't in the homeowner's control, your carrier will likely cover the damages. Generally, mold insurance doesn't cover damage that insurers consider preventable. For instance, there's a leak in your home because your 40-year-old roof has broken shingles. The water saturates the wood insulation, resulting in mold growth in the attic. From an insurance carrier's perspective, this could have been avoided if the old roof had been replaced. In this case, fungus growth is viewed as a home maintenance problem. 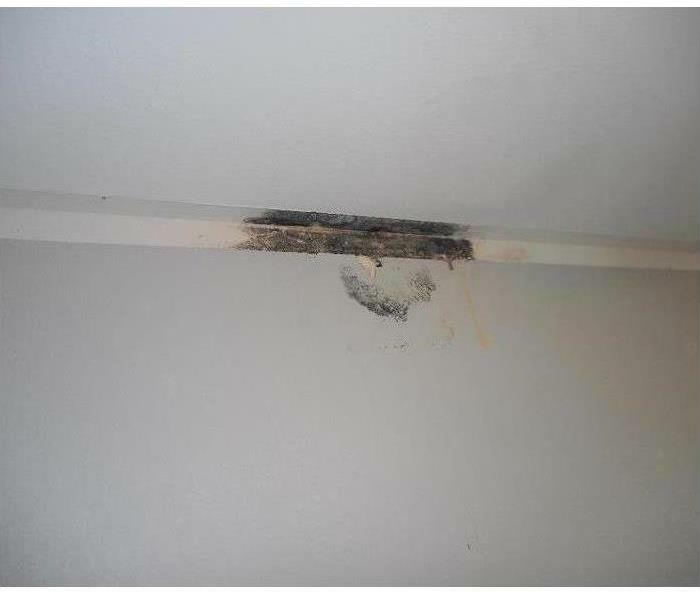 Because of this, you would be responsible for paying for mold clean up and remediation services. 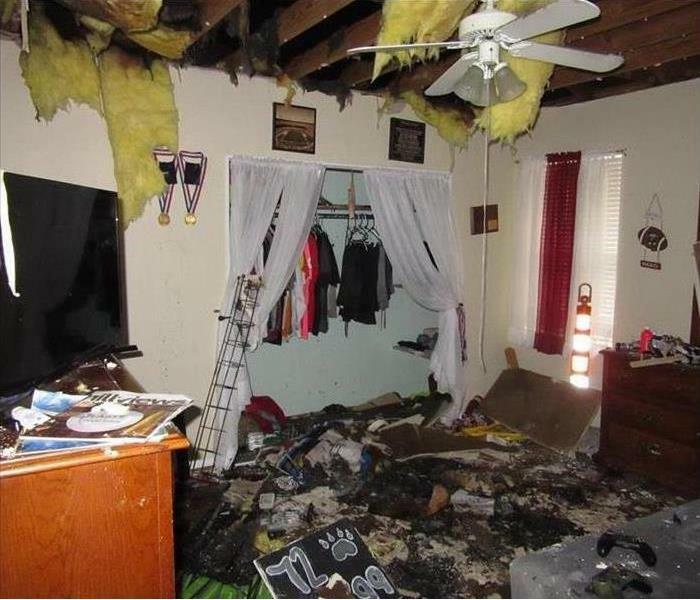 Check your homeowners insurance policy. The verbiage in the document may provide limited mold coverage. However, there is typically a cap, which means insurers may put limits on how much they will pay out for a mold-related claim. In most cases, homeowners insurance covers mold damage for covered perils. A carrier won't pay for fungus growth problems resulting from poor home maintenance. 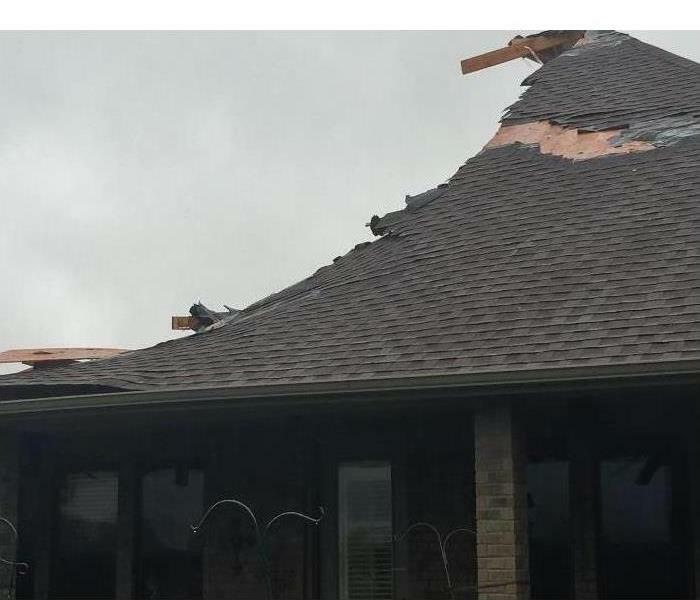 If you're not sure whether your policy will take care of the damage, it's best to talk to an insurance adjuster in Holland, TX. What Can You Expect With Storm Damage? The first time that you return to your Temple, TX, building after a storm or a flood can be devastating. At first, the destruction may seem impossible to recover, especially with flooding and water damage. The idea of a complete tear out of the building can be daunting. Yet storm restoration is not impossible, and by knowing what to expect, you can create an effective recovery plan. The first thing you need to do before anything else is water extraction. This means getting rid of any standing water or water that may have flooded in recessed areas. In some instances, this is just a matter of wiping and mopping up, but in others, you may need to open drainage pathways or even use vacuum suction to remove the majority of flood waters from the premises. The next step in alleviating storm damage is a complete tear out of wet materials that cannot be adequately dried in place and may even lead to mold and mildew. This includes carpet, wallpaper, and sometimes even floor tile. These materials not only become waterlogged but can also trap water underneath them, making it impossible for the building to completely dry out. In the instances of extremely bad flooding, you may need to remove waterlogged wood or drywall. Once water has soaked into the building’s structural materials, many times those materials cannot be recovered and must instead be knocked out and replaced. After you finish your tear out and dispose of waterlogged materials, you need to dry out the building completely. The easy way to do this is to open the windows and wait, but you can also use fans and other devices to hasten the drying process. Any waterlogged areas should get the most attention, and as they dry, they should be tested for structural integrity. It may require professional storm restoration services to ensure the safety of the building. For more information, please visit us at http://www.SERVPROtemplebelton.com. Every area has its own unique brand of extreme weather. A natural disaster in Belton, TX, can cause great damage to your home. When this happens, it is good to have a great storm damage remediation company to provide quality disaster recovery services. The best companies combine the local expertise of an area franchise with the resources of the corporation that backs it up. Here are some reasons to make SERVPRO an integral part of your cleanup team. Each team is primed to handle damage from storms that frequent its area. You can count on your local technicians to have the special skill set needed to handle the damage in your home. When it comes to filing claims with your insurance company for disaster recovery and repairs, it helps to work with a company that understands the kind of information your adjuster needs. SERVPRO is a preferred vendor for many insurance companies. The company works with your adjuster by providing an itemized list of damages and an estimate of the cost of the restoration through electronic records that can easily be stored and shared. No matter what kind of storm damage your home has, SERVPRO has a team ready to handle it. When a major disaster occurs, storm teams mobilize to get the necessary equipment and technicians to the affected area quickly. Every local franchise has the backing of corporate resources, particularly during a weather crisis. If your home is damaged by a natural disaster, you need remediation specialists you can depend on. When storms rage, the SERVPRO disaster recovery team is Here to Help. If you are like many residents in Temple, TX, and enjoy the comfort of your cozy home, chances are you have worked hard to maintain it. The general upkeep of a house can be difficult, but finding that your space is also housing mold can make for a real challenge. The following facts can tell you a little more about mold testing and its effectiveness. Simply put, a mold kit is a device used to test for fungal growth in a variety of spaces. Most reveal results within 48 hours. Depending on the type, some kits can also analyze the type of mold that's causing all the ruckus. Homeowners have long turned to DIY mold tests as a way of discovering the truth behind those walls and under those carpets. The real truth, however, lies in the fact that these kits always test positive. To the surprise of many, only a professional can accurately tell you whether there is mold growing in your house. Other problems commonly found in these tests include faulty analyses, defected kits, and ambiguous results. These aspects of your home may seem unimportant but can actually give way to complex fungal problems. When a trusted professional can assess all angles of your pad, chances of full remediation are more likely. Although the popular consensus may be that at-home mold testing is the way to go, the reality is that these kits simply don't catch all the problems. This is the point at which a proper test can show what's really going on with your cherished lair. Flooding is one of the world’s most common and devastating natural disasters. Short but intense rainstorms in Temple, TX can cause a flash flood when the ground can’t absorb the onslaught of water fast enough. Runoff from buildings, parking lots and streets can overwhelm municipal stormwater sewers. This can sometimes cause black water to back up into your basement. There are ways you can manage flood damage to your home. Here are some tips to help prevent storm damage and manage water runoff. 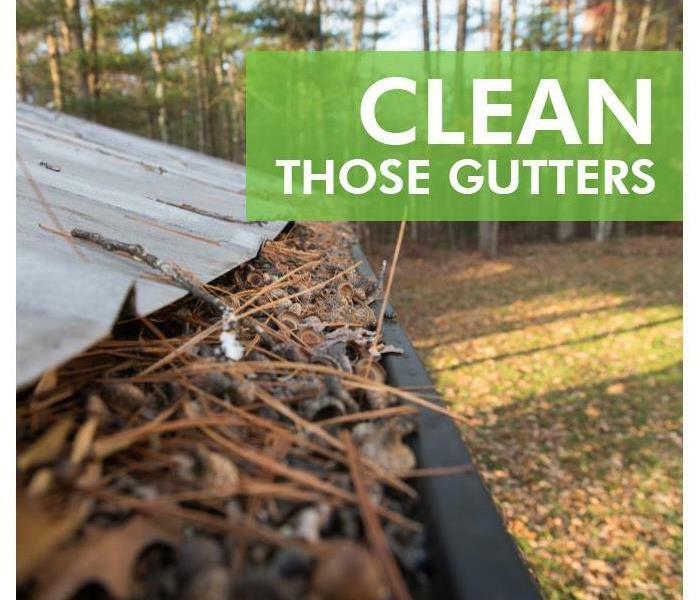 Clean your gutters. Debris can fill your gutters and downspouts and prevent water from your roof from being carried far enough from your home. 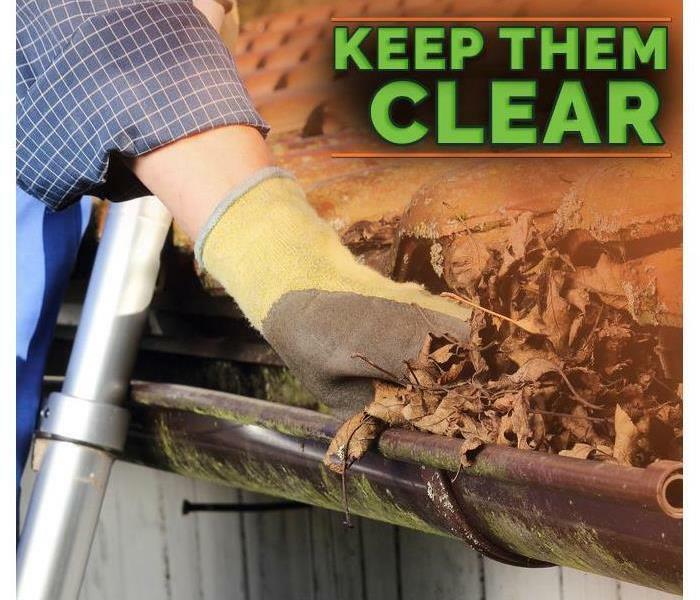 Clean your gutters and make sure they don’t leak. Runoff from your house can actually erode the soil around your home and cause more water to collect. Make sure storm drains are clear. If these drains get blocked, impervious surfaces cannot drain properly and can cause unnecessary flooding. Install a backwater valve. If sewer water backup is a constant threat in your area, install a backwater valve onto your home’s sewer line. This prevents backups from flooding your basement. Avoid using excess water during these times because water flowing from your home will be reduced. It is not only your house that you need to be worried about if a flood is imminent. If you know a flood is coming, be prepared. Evacuate your home if advised. Move to higher ground if there is a flash flood warning. This means flooding is occurring or will occur soon. During a flood, avoid walking through moving water. This water may be swifter than you realize and cause you to fall. Abandon your vehicle if the waters rise around it. After a flood, watch the news if possible. You want to make sure your community’s water supply is safe to drink. Be aware that water inside and outside your home may be contaminated by sewage, oil or gas. Floods can cause a lot of damage. Prepare your home in advance to keep yourself and your family safe. Visit http://www.SERVPROtemplebelton.com for more information on storm damage. Oftentimes, business owners will hear about a storm well in advance.While there are times that a flood watch could be little more than a false alarm, there are too many cases where it isn’t. It’s never a good idea to wait on storm preparation. Here are two preparation steps professionals in restoration strongly suggest to business owners to help them handle oncoming storms and flooding. Gutters and storm drains are your first defense against flood waters. 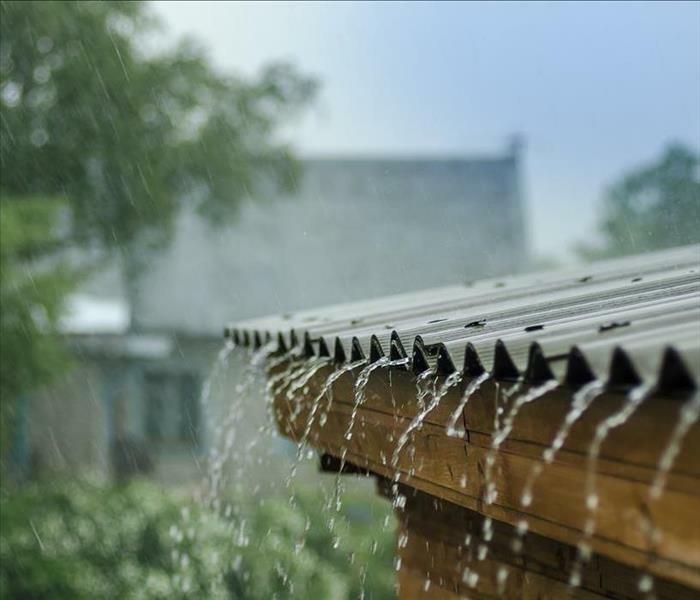 If your gutters are clogged, then they may not be able to withstand the weight of storm debris. After all, the water will build up even more than if the gutter were clear, and this could cause extensive damage. Storm drains have a similar issue. If not cleared in advance, they could be clogged and this will cause the flood to be worse, as it has nowhere to run off. In case of a storm warning with major flooding expected, you should remove all of your electrical appliances and valuables before the storm. This includes furniture and rugs. Anything that could be damaged by the water and will be a burden on your business shouldn’t be left behind. Once the storm hits, the rest happens quickly. You want to make sure you move these items in advance. Visit http://www.SERVPROtemplebelton.com for more information on commercial storm damage. 4/15/2019 - Where Is Mold Most Likely To Grow in a Building? 3/26/2019 - What Is Pretesting and How Can It Help Keep Insurance Costs Down? 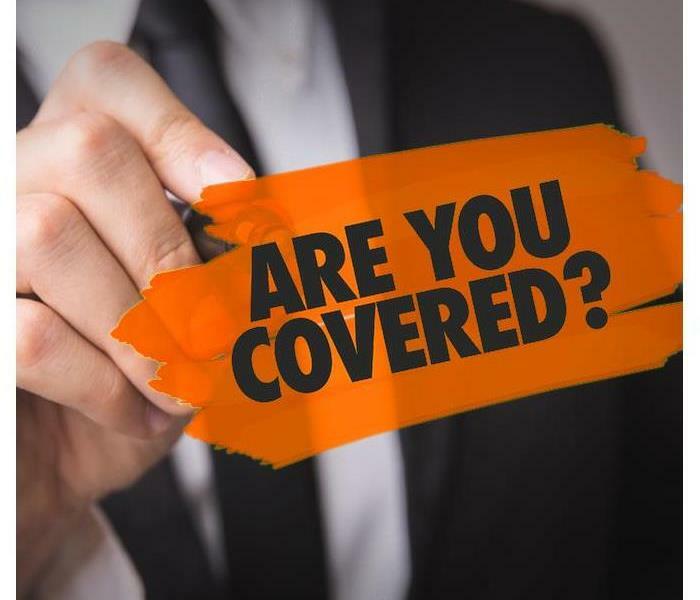 3/8/2019 - What Does Mold Insurance Cover? 2/25/2019 - What Can You Expect With Storm Damage?